On a day when at least one college president was pressured to apologize for saying something rational, a minor story appeared about angry people trying to censor a restaurant. Within just a few days, possibly while another person was making a forced apology, a second report of restaurant censorship appeared. What this means is that the movement to shut the traps of the dumb, the smart and the mediocre has reached a new and dangerous low. While sporadic, disarrayed and multi-headed, the censorship movement is highly effective. Its practitioners sacrifice freedom for all as a way to secure kindness for all – which ends up being not so kind. Their popularity has grown with their intolerance, but God help them if they get between a hungry person and their food. 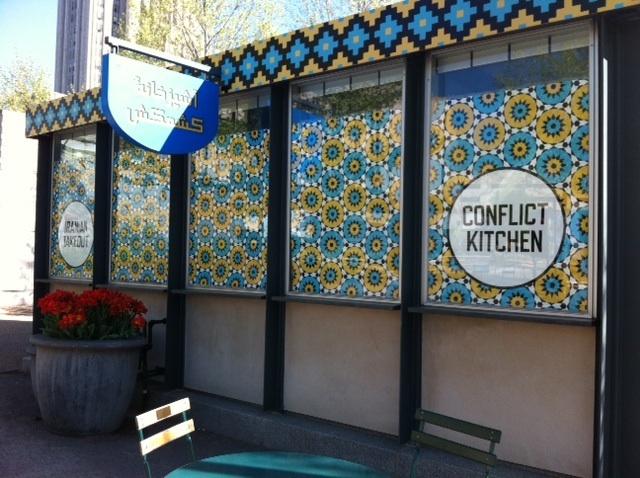 The Conflict Kitchen – little more than a kiosk – serves food from countries in conflict with the United States. Since opening in 2011, owners Jon Rubin and Dawn Weleski have prepared culinary items from nations such as Afghanistan, North Korea, Iran, Cuba and Venezuela. The food is wrapped in paper containing information about the country’s culture and politics. The restaurant claims not to take a position but wants to present the positions of countries we may be biased against. Jon and Dawn also hold public forums to facilitate discussions. When the Conflict Kitchen began serving Palestinian food in October, there were complaints from the Jewish Federation of Greater Pittsburgh, the B’nai B’rith and other groups. The restaurant closed after police received a letter with death threats against it, but it has since reopened. A police investigation continues. Meanwhile, out in Colorado, a fellow named Pete Turner has vowed to keep open his Mexican-style restaurants in the face of community protests. Again, the complaint is not about food but about words, in this case a single word. Pete has been operating restaurants for 20 years and has six in Boulder and Denver. It is only recently that his trouble began. 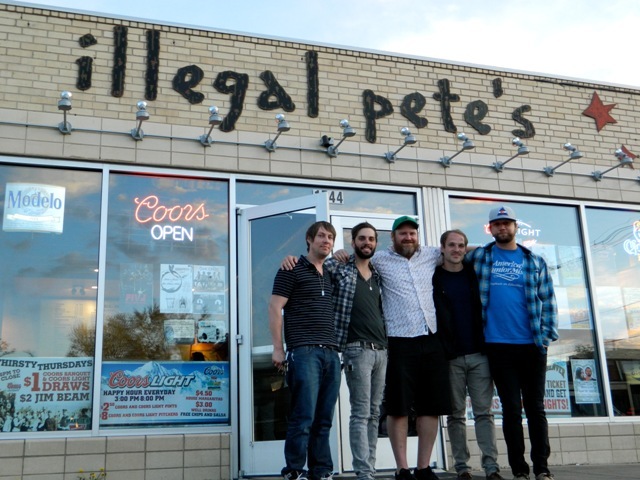 The trouble is about the name of his restaurants: Illegal Pete’s. It is felt by the protesters that the “I-Word” is offensive and hurtful and should be removed. Pete’s inspiration for the name came in several forms. It’s a literary reference, he said, to a bar in a novel he read as a college student. It also pays homage to anti-heroes and the counter-culture, honors the nonconformist streak of his father (also named Pete) and keeps his own name out there as well. Pete recently attended a community meeting with his detractors. He listened politely. Several days later, he announced he would not change the restaurant’s name. You can’t please everyone and it’s ridiculous to try. You also can’t guarantee a person a totally inoffensive day, unmarred by an indelicate word, picture, conversation, hint or suggestion. Life as a whole is offensive. Isn’t that abundantly clear? We are an aggressive, acquisitive, violent and murderous species. Must we use the proper words in the course of our murdering? I don’t think Pete was trying to offend, but if people are free to offend, at least we will know where they stand. To me, this is preferable to having people hide their feelings and seem like something they are not. Sometimes all we need to do is shake our heads and continue walking – or eat somewhere else. In the end, if someone is providing you with good food, how can you not like and appreciate them? If you’ve got to picket, I say picket those who can’t cook.